Ask any SEO expert about the primary ranking signals over the past five years plus, and the topic of backlinks will inevitably pop up. Backlinks have been one of the main things Google examines when determining where to rank content. But is that still true today? Let’s look at a recent study by digital marketing firm Stone Media to learn about the importance of backlinks in 2019 and how big of a role they still play. 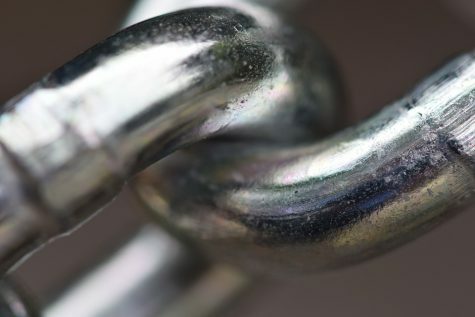 For the last few years, Stone Media has been conducting its annual study called “Links as a Ranking Factor.” Each time they analyze a large number of queries to figure out the impact backlinks have on SEO. The first study in 2016 examined 6,000 queries, but the most recent one in 2018 examined 27,000. So there’s significantly more research this time around. Stone Media used what’s known as the Spearman Correlation to generate their data. They then took the Quadratic Mean of those scores. Understanding the details behind the Quadratic Mean Spearman Correlation isn’t important here. What’s important is understanding the basic correlation between backlinks and SEO value. And when analyzing 27,000 queries in August 2018, the Aggregate Link Spearman Correlation was .974. The higher the number, the strong the correlation, meaning the correlation between backlinks and ranking is extremely high in 2019. So why does Google continue to place so much value on backlinks? According to Stone Temple, there are three main reasons for this. First, links coming from websites are held in higher regard than those coming from social media. While not a major time investment, it takes more time to create a link on a website than on a social media profile. Next, links on a website are static. Unlike links from social media that are viewed in a person’s feed and essentially gone forever, website links can remain in place for years to come. Third, a backlink acts as a sign of endorsement. The site is basically inviting visitors to leave their site to check out another one, which means they obviously believe that it has immense value. A website believes that a backlink will enhance its relationship with visitors enough to the point that they’re willing to have people leave their site. It means that backlinks are still a big deal — perhaps more so than ever. If you hope to establish strong rankings for legal industry keywords, you need to put a lot of attention into link building. It’s no surprise that Google closely examines backlinks. This has historically been one of its biggest ranking signals. But some marketers may be wondering about the significance of backlinks in 2019. This data from Stone Temple addresses this and reminds us that backlinks are just as big as they’ve ever been.